With home educating, working from home and everything else in between, something had to go sadly, so I could spend more time concentrating on work. I have a good balance with home educating but work - not so much. 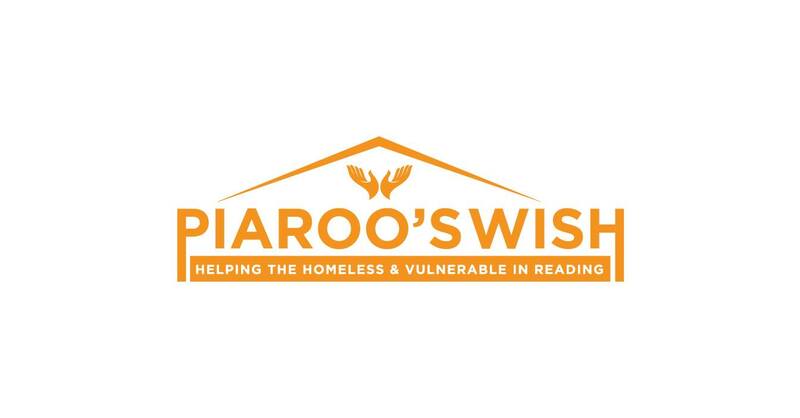 I joined Piaroo’s Wish when it was very new to the scene, in fact I joined the group when it was just the start, before the first official helping started. I have watched Piaroo’s grow from the tiny small army it was, into something that it is today and it feels me with joy knowing how that’s been made possible - all from the kindness of peoples hearts. Everyone at Piaroo’s is a volunteer, no one including the chairman and the rest of the committee has a paid role. It is all made possible due to kind hearted people who donate in their own way, from people donating their spare time to volunteer at the event every Wednesday, every few Wednesday’s, during school holidays or even once a year - however it all helps. You also have people who donate much needed items, from hot food to cold food, to toiletries and clothing. Piaroo’s received no official government funding or help, everything they’ve done to this day is all made possible from kind people, organisations and businesses. Everyone coming together to make the world a bit more of a better place. That’s why I personally joined Piaroo’s, with shelter above mine and my son’s head, and food in our cupboard, I know were extremely lucky to have those two things alone. Many people think of homelessness as drug and alcohol addicts, however they couldn’t be further from wrong. Families are homeless, mental health sufferers are homeless, teenagers, young adults, the elderly and many more are homeless. It shouldn’t be happening - but it does, for all number of reasons, and as time goes on, the numbers just increase. Whilst many people are classed as homeless, they’re not street homeless. Street homelessness is thankfully rather than what many people think. A lot of the street homeless are on the streets for a number of reasons, many of them are admittedly are substance users of some sort, and some are street homeless because of mental health - they feel at home on the streets, and to us it may sound crazy, but to them, it safe and home. I started my role at Piaroo’s as a person offering help, donating food items before I gradually became the cold food list coordinator, in no time my roles grew, and I am thankful for the opportunities that wasn’t planned, but that happened. I became involved with raising awareness of the group, helping out at the actual meets, doing social/PR/marketing roles (even writing to the press! ), helping with event organisations and even being on the committee. I made friends with people who I may never of crossed paths with if it wasn’t for Piaroo’s, and I realised that I am so much luckier than what I thought I already was. So many people have this bad perception of homeless people, and so many of you know the truths - that many of them are addicted to some sort of substance, however that doesn’t make these people less human, they was born the same way you and I was, and I’m sure they didn’t dream of growing up to being what they are as a child. I’ve always been humble in my opinion of everyone, but working closely with Piaroo’s made my eyes open even more to the world we live in, and what support and help is actually available for people in these circumstances, and believe me - it’s not as easy as what you think. With Universal Credit being rolled out more and more, I fear that more and more people will be relying on ‘charities’ such as Piaroo’s Wish, and this shouldn’t be happening. Time after time Piaroo’s was running out of food - do you know how horrible it is turning someone away who’s turned up for something to eat, because there is nothing left. Seeing people come in with holes in their footwear because they can barely afford to live, and dirty mucky clothing, because they don’t have access to clean running water to wash themselves let alone their clothes. Please if you can help your local food banks or homeless organisations in anyway, even a tin of beans a week helps. We can’t change the world by ourselves, but we can certainly help by coming together.